Years ago, Pasodale Elementary was home for all the K-8 classes in the area. In 1996 when Pasodale started to burst at the seams, the district and the community decided a new middle school was needed for the area. Scouting for a location was started and a plot of land used as a farm/ranch was acquired and became the new home for the middle school. In August 1998, Rio Bravo Middle School (RBMS) had its grand opening for the community. By the summer of 2019, RBMS will also offer 6th & 7th grade STEM summer transition program with app creators. We (administrators, STEM teachers, staff and support faculty) are working hard to make the program a success. 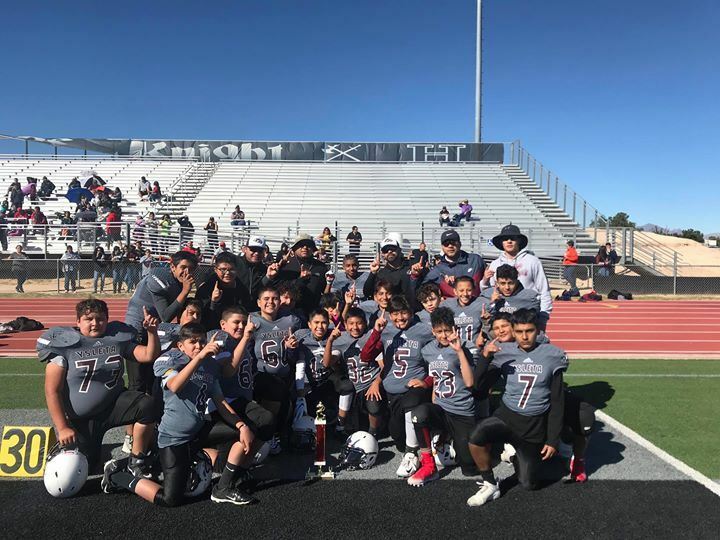 To round out our students, Rio Bravo gives everyone a chance to participate in extra-curricular activities like the Wolf Pack, which is RBMS reading club, the National Junior Society, Student Council, and Athletics. The Wolf Pack is focused on providing enthuse young readers the opportunity to increase a love for reading, to acquire social skills, and to promote a higher level of academic achievement. The ultimate goal is for students to acquire a life-long interest in reading and to become positive role models. Our Rio Bravo National Junior Honor Society, which is sponsored by Mrs. Hinojos and Mrs. Lucero, prides themselves in the five pillars of Character, Scholarship, Leadership, Service, and Citizenship. Chapter membership not only recognizes our Lobos for their academic accomplishments but challenges them to become involved in school activities and give of themselves through community service. 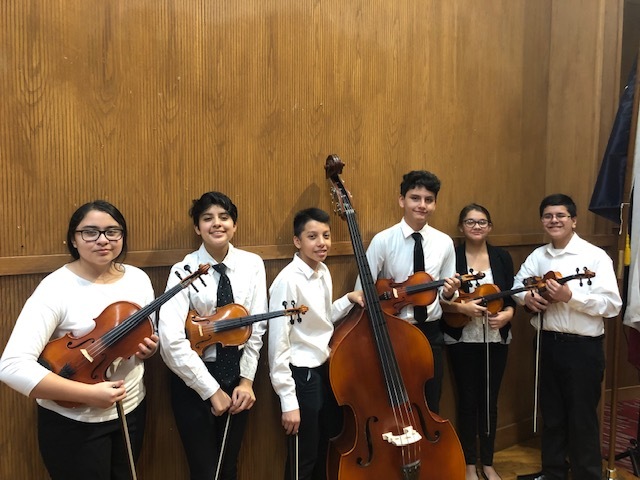 The Student Council at RBMS, which is sponsored by Mrs. Alvarez and Mrs. Martinez, supports the development of leadership skills by organizing and running school activities and community service projects. Student Council provides students with the experience to work collaboratively, promote citizenship and human relations. As for sports, we offer more sports options than ever before. If your middle schooler participates in sports, you must consider the potential benefits. It gives students access to positive role models, such as coaches and older players who can set positive examples. They benefit from sports programs that foster teamwork and skill-building through "no-cut" policies rather than highly competitive programs similar to those found at high school and adult levels. Students participating in one or more interscholastic sports usually have a grade point average of 3.1, while non-athletes had an average of 2.4, (according to a study of interscholastic sports participation published in the NASSP Bulletin, the journal of the National Association of Secondary School Principals). At Rio Bravo, our coaches take pride in teaching the basics for every sport. Our coaches understand the importance of participation and repetition so everyone on the team will play in every sporting contest. This way your middle schooler will have the opportunity to participate in any sport they choose. Through the years, RBMS has had many growing pains but has achieved much through hard work and perseverance. Our results show with our students continuing their rites of passage to be productive members of society in our community and throughout the United States. We are proud of OUR STUDENTS!